Music is so powerful for babies! 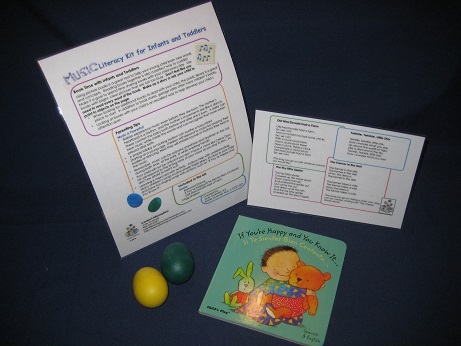 This parent pack gives reading tips and parenting tips on the importance of music. 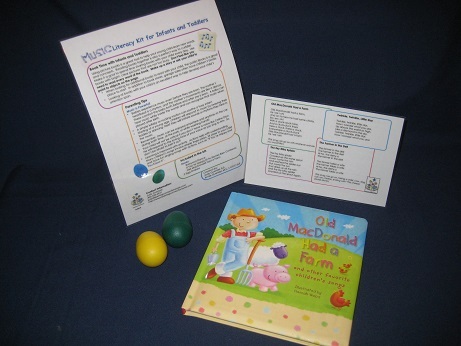 It also offers suggestions on how to use the two egg shakers included in this parent pack as well as other activities to encourage music. 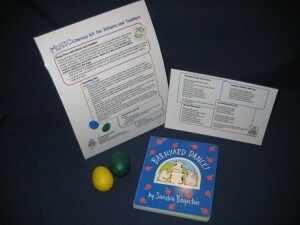 Included in the parent pack, along with the two egg shakers, is a two-sided guide, a sheet with the words to eight favorite children’s songs, and your choice of any one of three board books, Barnyard Dance, If You’re Happy (bilingual), and Old MacDonald Had a Farm, all housed in a clear, plastic, zippered pouch.